Disney keeps bringing back classics. If you grew up in the 90s, you may remember a few different 101 Dalmatians movies. Some were animated and two were created into live action movies. Well Disney is preparing to make a another live action movie, only this time it won't be about the dogs, it will be about the villain. With shows like Once Upon a Time and Fox's new show Sleepy Hollow mainly focusing on the evil villain's in the movie, they are now bringing it to the box office. Things we know for sure about the new movie is it will be titled Cruella. One of the writers is Aline Brosh McKenna. Andrew Gunn will produce the movie, he has also produced Sky High and Bedtime Stories. 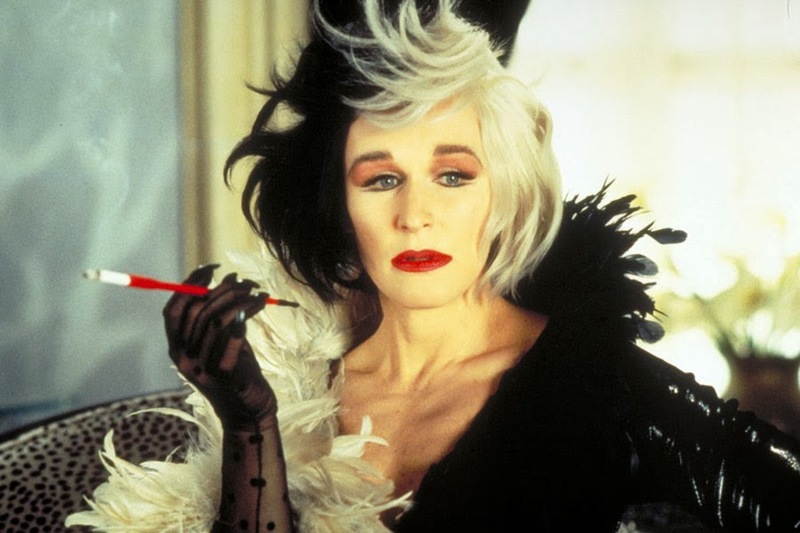 The executive producer is Glenn Close, who was actually Cruella de Vil in the two original live action movies. Comment on your thoughts of the new movie.